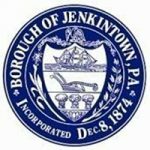 Jenkintown Borough is pleased to announce that the holiday parking schedule begins on Small Business Saturday, November 24, 2018 and will continue through the end of December. All metered parking is free on Wednesday evenings after 4:00 PM and all day Saturday and Sunday. Parking fees are waived on those dates/times at any metered spot on the street or in either municipal lot.